TPC Overall Rank: #210 out of 2933 rides. User Tracker Count: 293 times. These rides are junk. 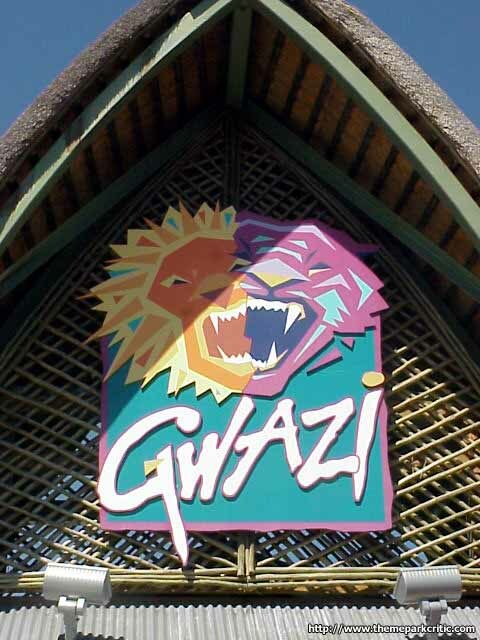 They have uninspired layouts that are nearly identical and the only hint of "airtime" present on either Gwazi Lion or Tiger is the rigorous rattling that may cause riders to bounce up and down in their seat as they get flung about on what seem to be square wheels. 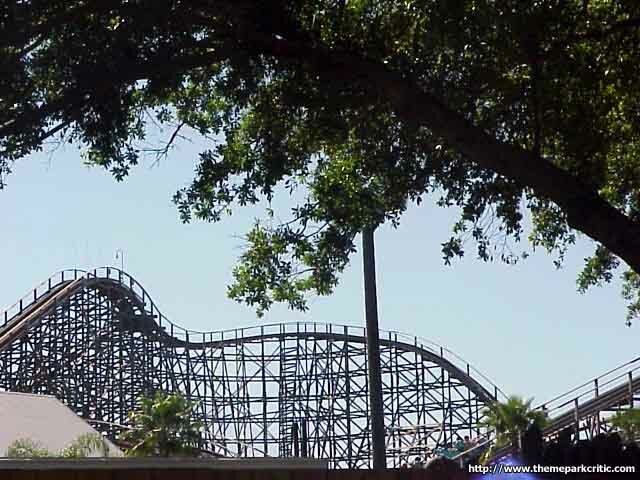 Wooden coasters like this give woodies everywhere a bad name. Whats more, single-train operation was a drag during the busy part of the day. All in all, Gwazi was junk, and was not very kind on my back. 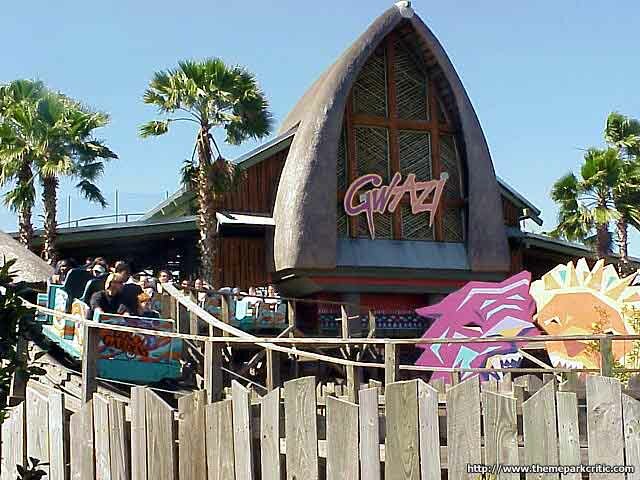 Let me start off by saying that theres little variety between the two Gwazi tracks. Bringing up the point of two tracks, Busch Gardens doenst even duel this woodie anymore which really is disappointing (I was totally unaware that I could ask for them to duel it so drat). As Ive said before, I like aggressive rides like the Cyclone. This was aggressive for a majority of the ride for the wrong reasons. It was way too bumpy and I felt like I was riding my car through a construction site in New York. The first drop though was very good and many of the following hills had decent air as well mixed in with good speed. This could be an outstanding coaster, but it just is too bumpy and is nothing other than average. This was a decent wooden coaster. The day I was at BGA they were dueling the trains all day, which added to the effect. it is a very violent wooden coaster, but also a good one. 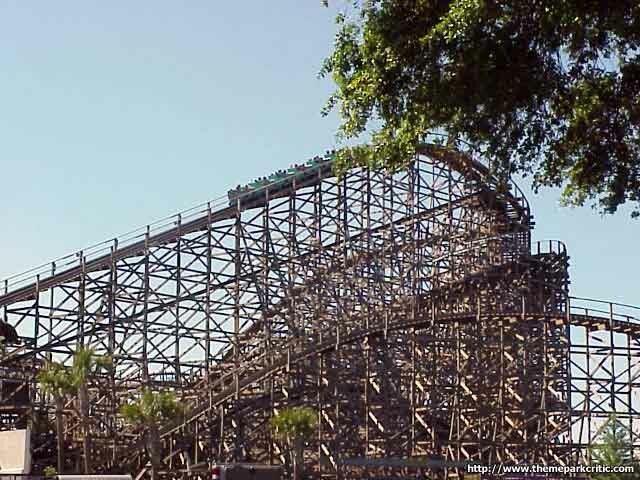 Im going to start off by saying that I dont mind aggressive wooden coasters, which Gwazi certainly is. Unfortunately, the park doesnt duel this anymore, but I asked and they did and it really improves the ride. The ride itself was fast and furious, as there were many high speed turns and close calls with the other train. Also, there were a few good moments of air-time during the ride. The ride was pretty rough though. First of all, I would just like to give my personal advice. Choose lion over tiger. For some reason, tiger is way more rough then lion and it makes sort of an unpleasent experience. Lion is more smoother and is more enjoyable IMO. But as for the ride its self, its not bad. The First drop is the only memorable moment for me. The one question that everyone is asking (including myself) is, why does Gwazi no longer duel? I have ridden Gwazi when it was dueling only once and that was a couple months after it open. Gwazi would be so much better if it dueled all the time because that is what it was made for. Another major downside to Gwazi is the SLOW loading. Are the seatbelts really necessary? I think the lap bar is good enough to hold you in. you have to sit down, fiddle with the seatbelt to make it connect, then the cast memebers check if they are on or if your still having trouble with them they will help you, then you have to pull the lap bar down and they go and check you again. Its just such a slow loading process and it seems like it takes forever to get out of the station. Also, at the end of the ride you have to sit there for a while and wait for the car in front of you to get loaded and off the station, so that means you have to sit through the long slow loading process twice. Overall, the ride its self is very good, I like it alot. Just the absence of the dueling and the slow loading process brings down the awesome experience that this coaster was intended to have. This is a fun wooden coaster with some good speed and exciting turns, making for an out-of-control feeling. Unfortunately, there were not a lot of huge drops after the first one, and there was only a small amount of airtime. If the ride had some more of these elements, it would easily reach a 9. The ride was a little jerky, but not to the point of being painful -- just enough to add to the out-of-control feeling. Ill keep my comments about people who find this too rough to myself, so here is the review. APPEARANCE-9 A very majestic looking woodie, with small hints of theming, but to be honest we were in a hurry and I didnt see anything fantastic. CAPACITY-5 Just stupid use of everything. First they dont duel it anymore unless you ask, which we did. Second they check the seatbelts, then the lapbars, needing two full passes to do this. No way should a duel racing/dueling coaster take this long. BG go to Hershey and see how it is done. RIDE QUALITY-8 Good out of control feeling with some air. This ride definately takes no prisoners. I felt like Tiger ad a little more air but they were close. FUN-9 A great time was had as we went ripping through the course no questions asked. Plenty of good laughing as we ran the course. RERIDE-8 As much as I liked it I hate waiting in poorly run lines and that is definately what this one had. Improved capacity and this would be a no brainer. OVERALL-39 AVG-7.8 I will go with the 8 since this was really good once you got on the ride.